My work as a fan advocate for Orange is the New Black. Howard & Chloe Go to Bunnyland! The dinner series debut of Flower + Bone. It’s been about a month since Lionsgate Television and Netflix released “Orange is The New Black,” a new series based on the book by Piper Kerman, a memoir about her own experiences in prison. I remember seeing a lot of posters and ads on subway, and I honestly wasn’t interested until a few days after it aired. My Twitter timeline was going crazy and I saw a lot of #OITNB. I’m thankful to my curiosity, as I decided to give the show a try . I binge watched Orange is The New Black and finished it in 2 days. My addiction to the show led me to even create a Twitter account so that I could talk to other fans who shared the same interest. I have never seen a show that has such a huge and brilliant cast! I felt as if someone finally opened my eyes, for the first time, about the lives of inmates before incarceration. They were just like the rest of us, except they chose the wrong path and ended up being sent to prison. 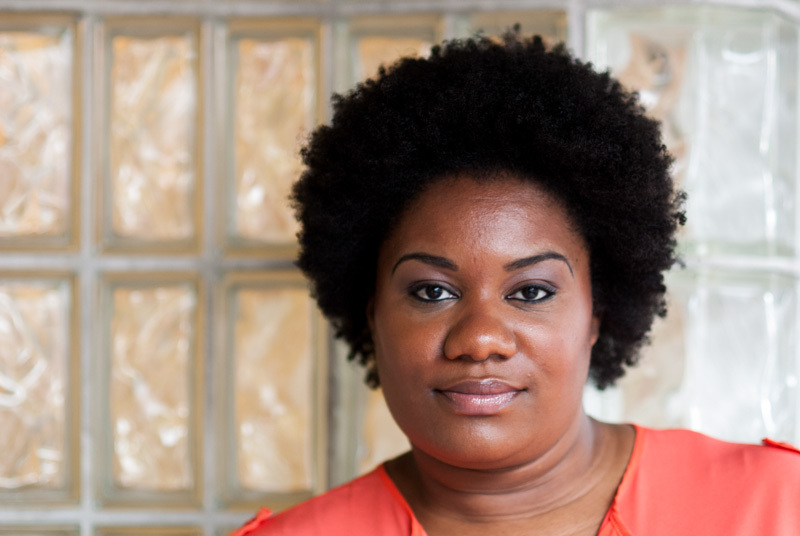 Who is Adrienne C. Moore ? 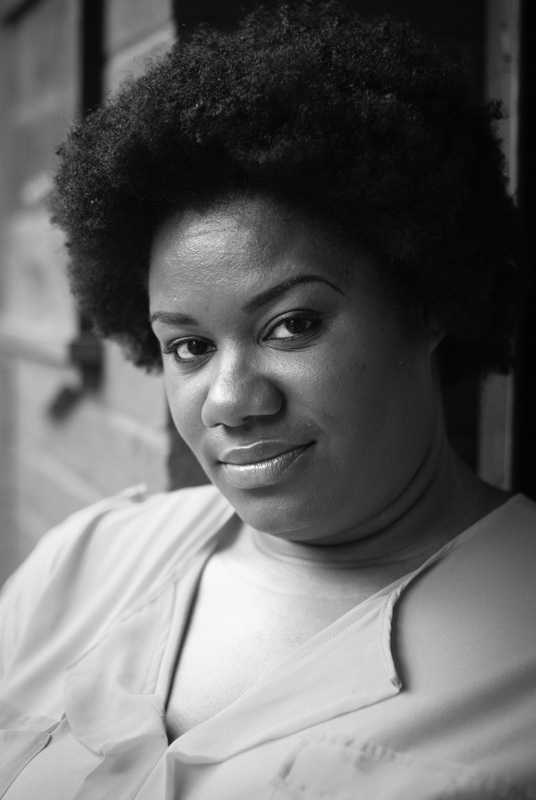 ADRIENNE C. MOORE is an actor, voice over artist, singer and producer living in NYC. A native of the south, she has always loved the arts and has studied voice, piano and dance since the age of 5. After a successful career in marketing and advertising for Fortune 500 companies, Adrienne moved to NYC to complete her MFA in Drama at The New School University. Upon graduating, she began a successful voice over and commercial career for brands such as Vaseline, NY Lotto and McDonalds to name a few. She has consistently worked on stage for theatres such as LaJolla Playhouse, Playwrights Horizons and The Public Theatre. She has appeared on Blue Bloods, 30 Rock and is currently guest starring, as Black Cindy, on Jenji Kohan’s hit new “dramedy,” series Orange is The New Black. Sharing her work with the youth of today is her passion. When she is between projects, she spends her time volunteering with the 52nd Street Project and Naked Angels: 3 Thursdays. There she works with middle to high school aged youth, helping them to nurture their gifts as playwrights, actors,dancers, singers and/or visual artists. 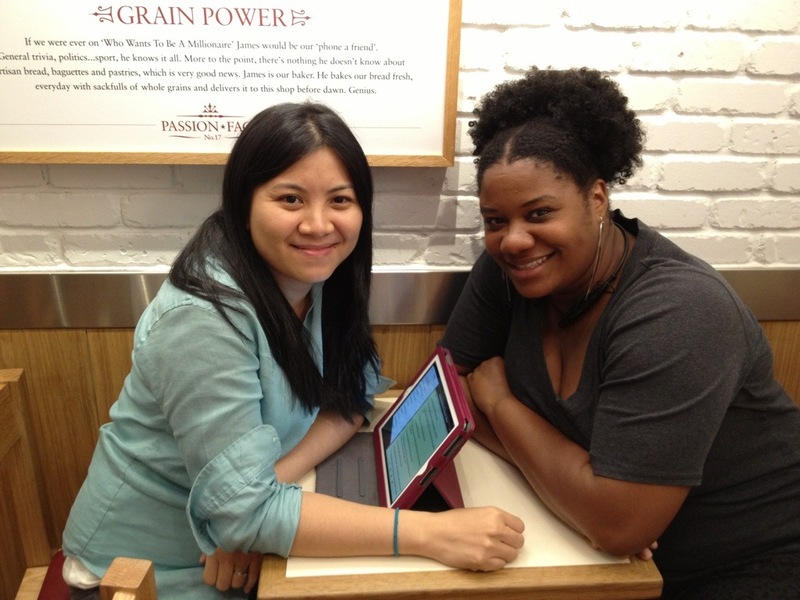 We met up at a Thai restaurant in Hell’s Kitchen and while enjoying Thai food and getting to know each other, I felt as if I knew her for a very long time. Adrienne is such an amazing story teller. I was drawn in and felt very much engaged to all her stories. Along with her southern hospitality, I find her a package deal. 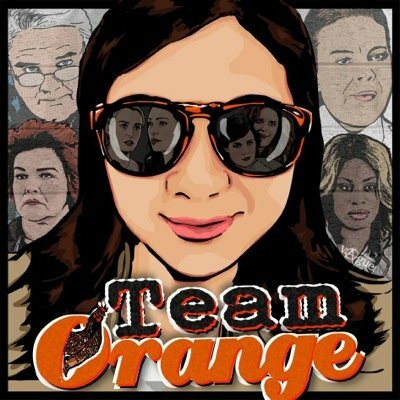 KR: Congratulations on your hit show, Orange is The New Black! 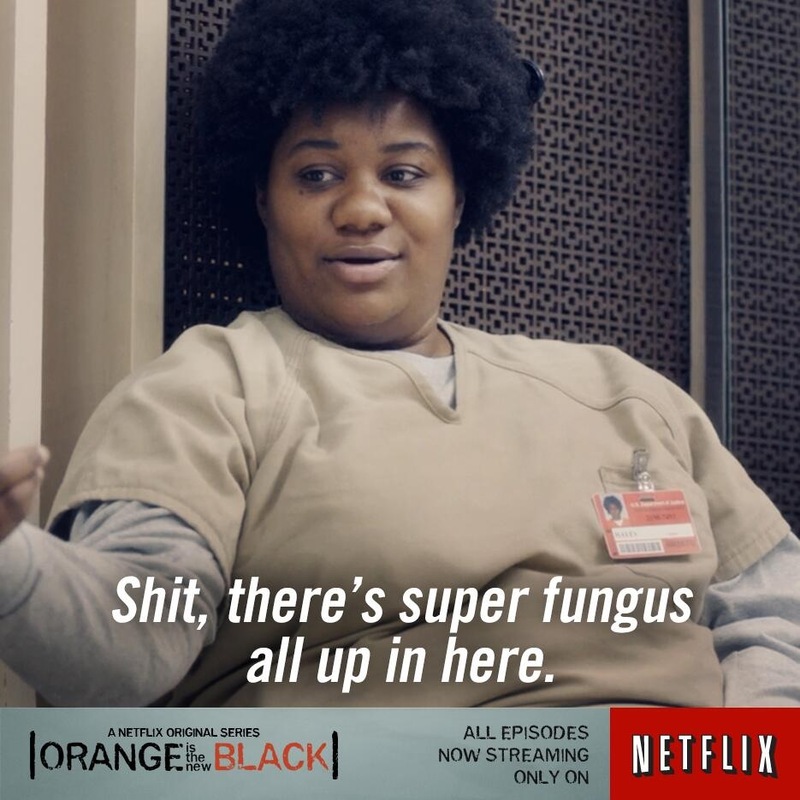 How did you get involved with such an Amazing show like OITNB? ACM: I have to say my representation knows me. They understand and know what I’m good at. Comedy is always a thing that has come naturally to me. The technique I learned in grad school has better perfected my comedy but more-so my dramatic technique and how to tap into my experiences, but comedy was very natural. Before I moved to New York, I did community theater in Atlanta, then I moved to New York to attend grad school at The New School for Drama. Upon graduating, I attended workshops that would last three to four weeks with casting directors so I could get to know them and they could get to know me. It did prove to be beneficial because I was introduced to the head casting director for Playwright Horizons [Alaine Alldaffer], who I just saw today. She is big a fan and supporter of the artists… in developing and nurturing them. She would bring me in as a reader for big auditions that she’d be casting. I got to see from behind the table what these actors did when they auditioned. It is an intimidating and daunting idea that you go into an [audition] room and there are three or four people sitting behind a table looking at you. I saw some talented actors come into the room and command the room and the way they did it helped me out. I learned how to then structure my audition and it was through that, that I landed my first regional and off – Broadway gig [Milk Like Sugar], which also earned me my Equity card! I earned my SAG and AFTRA Card from doing commercials and stuff. Doing Milk Like Sugar, is where I met my agent and manager. I eventually landed roles in Blue Bloods, 30 Rock and here we are today with Orange is the New Black. KR: Did you audition for Black Cindy? ACM: Well, because it was a showcase, I had the permission to leave the show, but I became so fond of the show, the crew, the cast and the story that we were able to work it out. There was only one day that I had to film in the morning so I could make the show that night. KR: We talked about this earlier, but I wanted to bring it up. Did you know any of the cast before the show? ACM: I did. I knew Danielle [Danielle Brooks] who plays Taystee. KR: You can say hi to her through this interview. KR: This is a question from Twitter. Will we get to see more of black Cindy because we all want to learn more about her back story? KR: I guess we are going to have to wait and see! KR: Ok, this is another question from Twitter! The show has only been out less than a month [As of August 9th] and everyone has become famous overnight, what are your thoughts on this? ACM [cont’d.] So far, no one has been intrusive or rude. It’s because of these people [OITNB fans] that we are getting these rave reviews and the craziness going on on Twitter, Instagram and Tumblr! So, I LOVE you guys! KR: There has been a huge buzz on the Internet and fans ship a lot of couples on the show. Do you have your favorite couple? ACM: You know I started to notice this… maybe like 5 episodes in, that anytime Dayanara [Dasha Polanco] and Bennett [Matt McGorry] do a scene together, there’s always this soft melodic music playing. Go back and watch it and it’s very touching [humming ] They are so cute together! They’re my modern day Romeo & Juliet couple. KR: Last Question… What was your favorite scene to film and why? ACM: Can I have more than one answer!? ACM: The first scene I filmed because it was my first day on set so it will always be my most memorable. KR: That’s nice! What’s the second one? ACM: The best time I ever had on set was the last episode. We were just pulling stuff from everywhere because it was so much fun and we knew it was the last episode, so we didn’t want to hold anything back. We were trying different things and playing around with new ideas, because by this time we were all so familiar and comfortable with each other. It was just fun! Those were some of the longest film days on set…from 5/6AM until 10/11 o’clock at night. But it was so worth it. KR: Before we end this, what is it that you want to tell your fans? ACM: I want to tell you guys thank you, thank you for finding out who I was on the show [Black Cindy], finding me on twitter, instagram, etc. I am so grateful for all of your wonderful, wonderful compliments, support, love and encouragement. For an actor, in addition to their work, we love it when it is received well by viewers. And you guys have received me, the show, and my fellow cast mates with open arms and for that you have my unwavering appreciation and gratitude. KR: Thank you so much! Moore: No, thank YOU. Have a great weekend! Follow Adrienne on Twitter, Instagram, and FB page.